Family planning policy in Serbia potentially pushes families to various ‘corruptive arrangements’. In Serbia, not all citizens have been well informed about maternity leave procedures. Securing fair compensation during pregnancy and navigating through complex bureaucracy processes could be quite challenging and involving corruption risks. The new law that has been enforced since July 2018 on financial support for families with children opened up various questions and potential legal loopholes which could leave families without proper financial compensation. As young female journalists, Ana and Natalija believe Serbian women should have the rights to access the accurate information easily and have the clarity of relevant legal procedures in order to obtain fair compensation. Legal loopholes and unfair maternity leave compensation distort the exercise of rights and create risk for corruption. We believe that corruption occurs in the situation when the public has no access to information. As journalist our job is to detect corruption, find legal loopholes, identify who are the responsible ones and inform the public about it. Investigating and reporting on it. That is what we do. Ana and Natalija will look into legal documents, trace public budgets, conduct interviews, publish stories, and create an online tool in order to empower mothers and young families to access the accurate information and to navigate through legal maze, eventually to obtain fair maternity leave compensation, informing them about legal practices about maternity leave compensation. All articles and the tool will be published on BIRN’s flagship web site javno.rs and widely promoted via their social media channels. By providing the complete information about the maternity leave procedures, Serbian citizens could take informed decisions on economic aspect of family planning whilst the benefit to the society could potentially lead to future directions of the policy. #1 Inform the public about the corruption mechanisms women face when applying for maternity leave compensation without clarity on legal procedures. #2 Provide women with tangible support and toolkit which should serve them to: 1. calculate maternity leave compensation based on the legal criteria 2. navigate through legal procedures when submitting maternity leave requests. #3 Increase public demand for proper implementation of the law on financial support for families with children, transparency in state budgets allocation, and exercising their rights, based on accurate information and reporting. Ana Curic is an investigative journalist based in Belgrade. She started working in BIRN Serbia, which is part of Balkan Investigative Reporting Network, in 2017, where mostly covers use of public funds, justice and financial crime. Before that, she was an intern in regional television N1 – CNN exclusive news channel affiliate. Ana has a degree from Faculty of Political Science at the University of Belgrade. 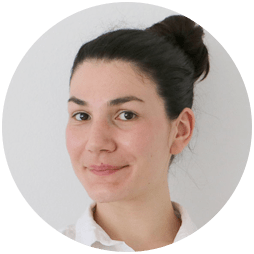 Natalija Jovanovic is a journalist from Serbia working for Balkan Investigative Reporting Network – BIRN. She covers misuse of public funds mainly in media and cultural sector. Natalija graduated from Faculty of political Sciences during 2016. 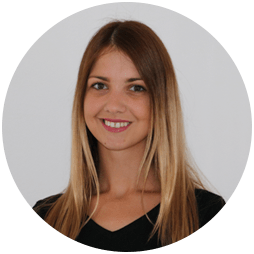 She is currently doing a master’s in Social Science and Computing at the University of Belgrade. Follow BIRN Serbia on Facebook and Twitter.